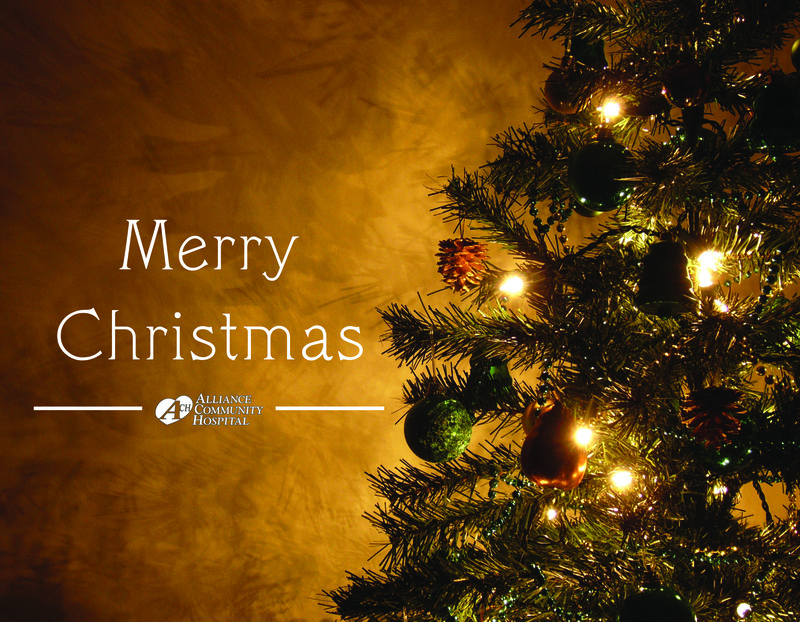 Wishing our patients, families and colleagues a very Merry Christmas! On Monday, December 17th, CCC residents, patients, family members and patients from Acute Rehab filled the dining room for the annual CCC Christmas Party! Musical entertainment was provided by Robin Roseberry and Valerie Burk, daughters of a CCC resident. 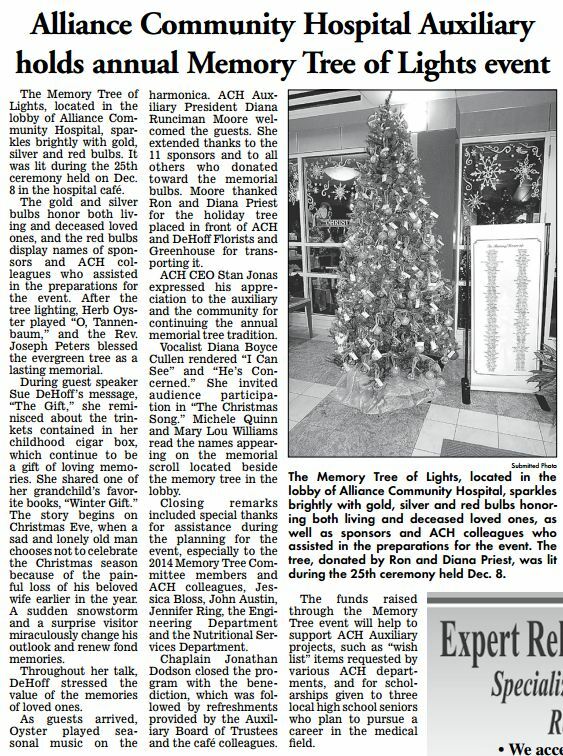 Holiday refreshments were prepared by the ACH Nutritional Services Department. The man of the hour – Santa Claus, and his lovely wife –Mrs. Claus, surprised everyone with a grand appearance. The couple spread some Christmas cheer as they greeted the party-goers. All children present were invited to share their Christmas wishes with Santa and to have their picture taken. Santa and Mrs. Claus presented each child with an early Christmas present. The presents weren’t only for the children, though! 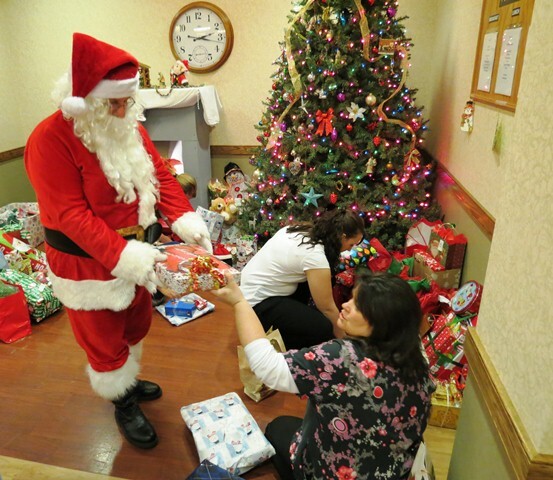 Santa and Mrs. Claus helped the CCC staff hand out presents to each of the residents and patients. The Community Care Center is a 68-bed, extended-care facility that provides a home-like atmosphere and a competent and caring staff to its patients and residents. For more information about the services available at The Community Care Center or Alliance Community Hospital go to www.achosp.org , like us on Facebook, subscribe to our YouTube channel, or visit www.achstory.org to learn more about the true stories of extraordinary, compassionate care that make Alliance Community Hospital the most patient-centered facility in the state of Ohio.